This floppy could be deteriorated beyond repair, and if its files are intact, you don’t have any way of knowing what software was used to create them. 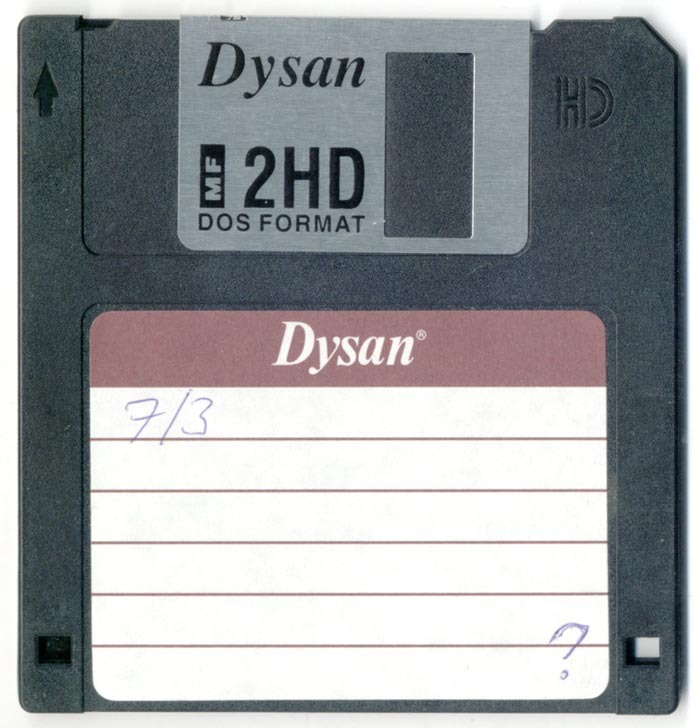 Although the outside of the disk indicates “DOS FORMAT” (indicating that the manufacturer made this disk for an old-fashioned MS-DOS computer), the disk could have been re-formatted for another operating system. The longer you wait to remove files from old digital media, the more difficult and risky it will be to access the files. 3.5” floppies were introduced to the market by Sony in 1982 and continued to be in widespread use for nearly twenty years, so some of your old 3.5” floppies lying around the house could be much older than others. Disks were formatted for different operating systems during that time (including MS-DOS, Windows, Mac, and many others), and you rarely have any way of knowing what software was used to create the files. Added to all this, the disk itself may have deteriorated and all or part of its files may no longer be physically intact. If you missed one of the questions in this week-long quiz or would like to take the quiz again, all of the questions can be found here.